OMAHA, Neb. 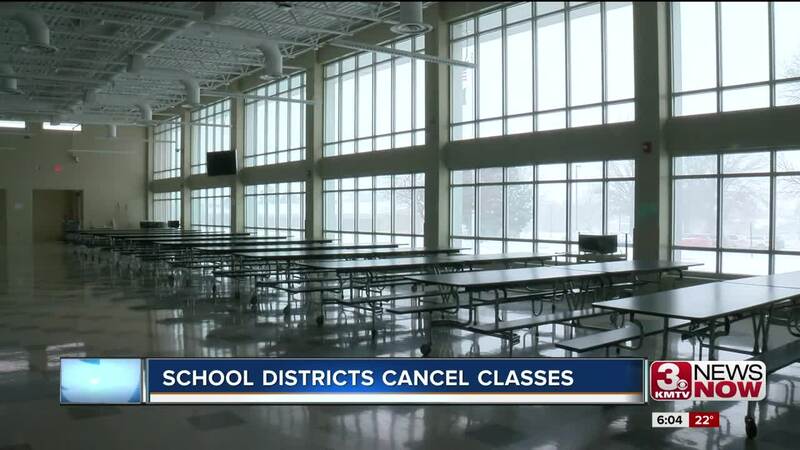 (KMTV) — On Tuesday Omaha turned in to Smowmaha once again as school districts across the metro area pulled the trigger around 4 a.m. this morning and canceled school in anticipation of a morning downpour. "A lot of inconsistencies," said 3 News Now Meteorologist Ryan McPike. "I think with the type of weather pattern we're in these storms that have a Pacific origin to them get over advertised or simply aren't as strong as models originally indicate and that's why you see these storms blow up south and east of us." With students extending the holiday weekend by another day, parents had to keep busy with their children. "I love it, I think it's great I get an extra little vacation," said Candy Waring, an Omaha parent of two who was spending the morning with her middle school daughter. Icy road conditions affected travel across the city and many felt it was smart to have the young drivers off the streets. "I would rather have my kid who is a new teenage driver not on the roads if it is bad," Waring said. Usually on a Tuesday students at Gretna middle school are bustling through the halls and getting ready for class. Instead they're off for a fifth day in a row. District officials said that student safety on the roads was a top priority. "I'd make the same decision again based on that forecast," said Gretna Public Schools Superintendent Dr. Kevin Riley. "Superintendents don't like to call school off." Dr. Riley says he was up at 3:30 Tuesday morning to observe the roads and then coordinated with the other superintendents around Douglas and Sarpy county before making the call. "It's always difficult to call school off based on a forecast.," Riley said. "You'd rather have the snow here and the problem's obvious. But when you get in to forecast situations that do include ice and snow that is problematic."